Lot:8004 1787 New Jersey Copper. Maris 48-g, W-5275. Rarity-1. Outlined Shield. EF-40 (PCGS). 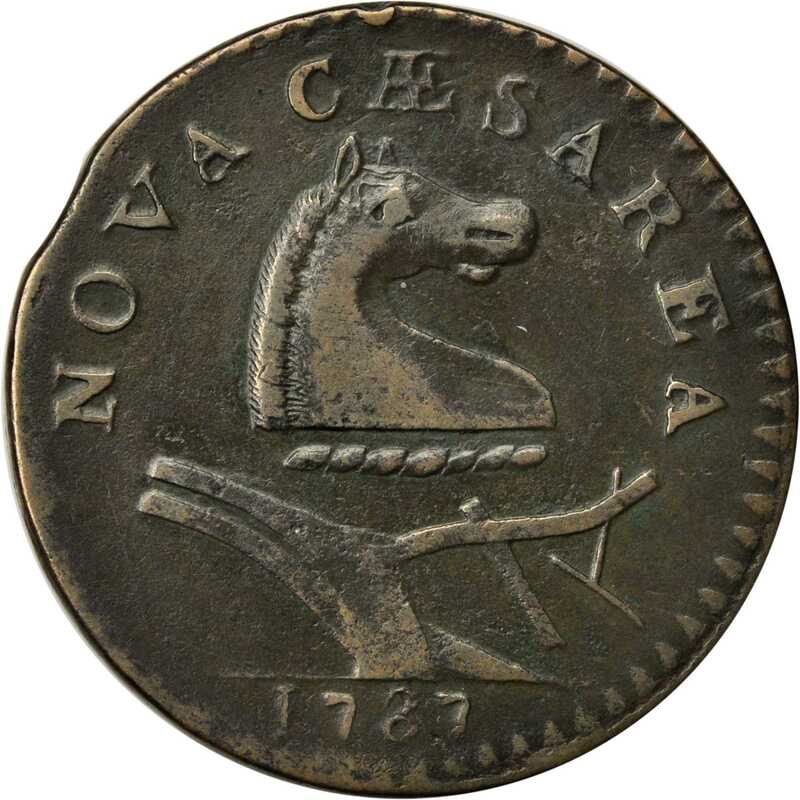 1787 New Jersey Copper. Maris 48-g, W-5275. Rarity-1. Outlined Shield. EF-40 (PCGS).154.3 grains. Deep olive surfaces with lighter grayish steel brown on the reliefs creating a nice visual contrast. Microporous with a few ancient scrapes visible on the reverse under magnification, but glossy and very attractive. Very well centered on the obverse while the reverse is shifted just a hair to the left, enough to lose the dentils but not enough to compromise the legend. One small natural clip over OV of NOVA. The early die state without die breaks in the shield.From the Twin Leaf Collection of Connecticut & Massachusetts Coppers. Earlier ex Fifth Annual C4 Convention Sale, November 1999:288.